28.8. – 18.9.2011 | 183 subjects | sold 76 % | turnover 4 241 euros. 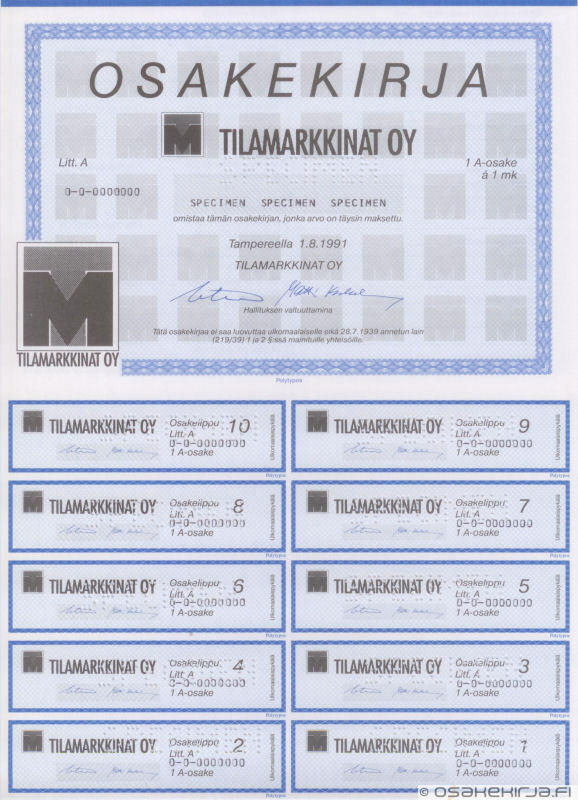 Besides Finnish subjects there were a lot of foreign share certificates and some lottery tickets for sale.